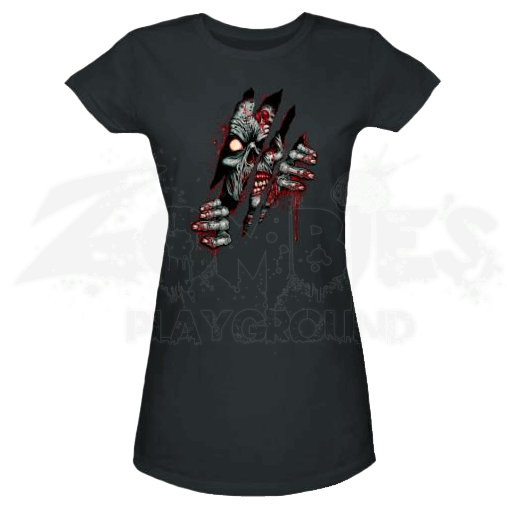 Let the zombie inside you see the world with the Junior Zombie Within T-Shirt. Unfortunately, there is no letting your inner zombie go completely, but for now, letting it see the outside world while it claws through your chest and shirt is enough. This incredible charcoal colored t-shirt is made from quality fabric, which ensures that in addition to its impressive appearance, this shirt is also extremely comfortable to wear. At the center of this charcoal shirt is a jagged, ripped hole, and peering out through this clawed gash is gray-green skinned zombie. The zombies lone white eye is widened in a blank, almost hungry glare, while its fingers reach through the gashes in order to grab and widen the tear. The zombies jagged fingernails are bloody from digging through flesh, leaving little rivulets of blood to drip down the front of the shirt, while more blood stain the outside edges of the claw shaped gash. This impressive shirt is made from 100% cotton and is a form fitting t-shirt. Order one size larger for a looser fit. 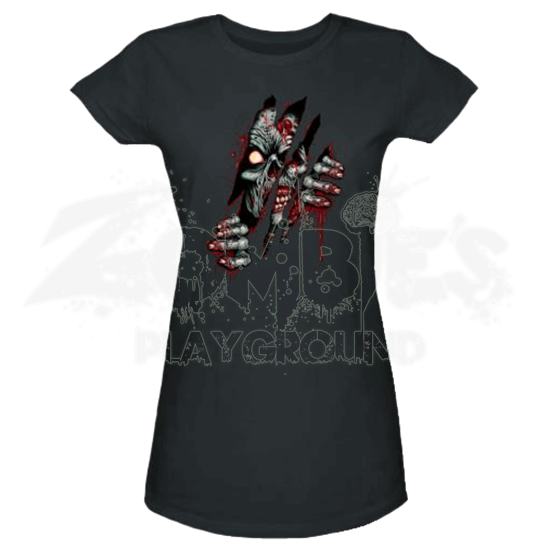 It may terrify others, but a real zombie enthusiast knows that everyone has a zombie inside them, and that there is nothing to fear in letting that zombie out every now and again with the Junior Zombie Within T-Shirt.